Well Hello it is that time of year and I LOVE Valentines. 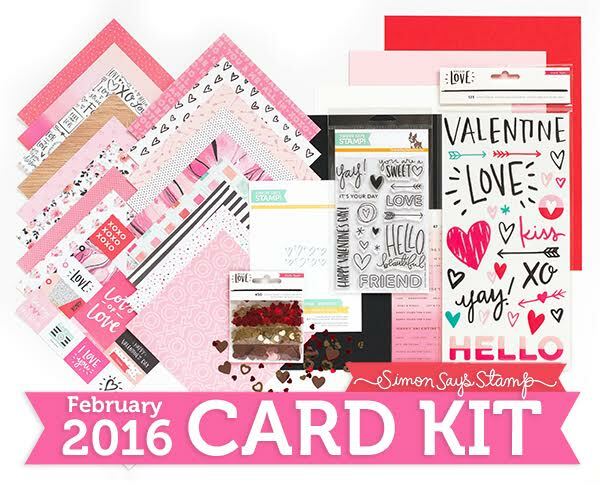 I have to say I had so much fun with the February SSS Card kit because the looks that you could get were so varied. The epoxy stickers from crate paper were super graphic but the papers ranged from masculine to super sweet. I decided to make two different themes and go with 3 very clean and simple, graphic, red and black designs and three sweeter pink patterned ones. There is still more that I can do and I am going to need it because I have many friends who need a bit of love right now. I had a hard time getting started but talk a bit about how to break through that in the video. When making shaker cards and you need to surround the window with foam remove the paper strip from both sides and you can easily curve the foam tape around the window shape rather than have to cut a bunch of pieces and try to fit them together. Depending on how much you want the pieces to shake around you can use 1 or 2 layers of tape- if you want more space for movement, adheer the tape pieces together to make a double layer first before you put it down or cut it…HUGE time saver! When using that sweet little outline die, use it with a dryer sheet first and then when you die cut your cardstock the pieces will release more easily.